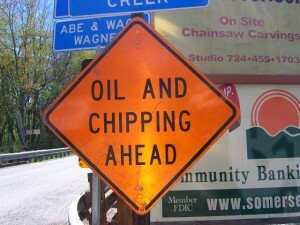 Spring always means the beginning of road maintenance! 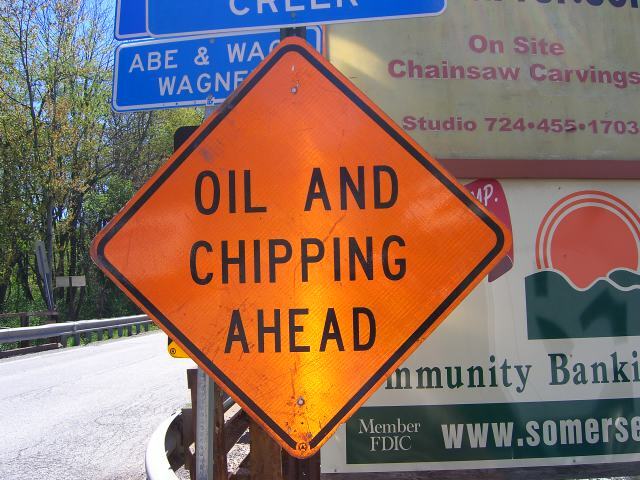 This week we were surprised to see signs for oil and chipping on County Line Road. So far (as of this morning) it is on just the Saltlick Township side of the road. That’s the part of the road headed up to Seven Springs from Champion. For our motorcycle friends, be extra careful on this road! Happy Mother’s Day to All!